Greek sanctuaries are among the best known archaeological sites in ancient Greece. However, after over 150 years of excavations and research we know surprisingly little about some of their aspects, such as the rituals enacted in the sanctuary, the nature of original local deities and how aspects of their character were assimilated into those of the Olympians, why sanctuaries were established in certain places, and how to determine who the sanctuary was established for when no epigraphical material is present. 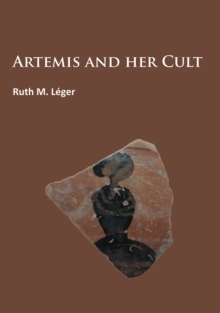 Artemis and Her Cult provides a first attempt to bring together archaeological and literary sources from two main Artemis sanctuaries, hoping to contribute to a clearer picture of her cult. An account of Artemis' different characters describes her as a mother of gods, a goddess of wilderness, animals and hunt; a goddess of birth, infants and children (and young animals); as well as a goddess of youth and marriage and rites of passage. These descriptions are followed by an up-to-date account of the archaeological record of the sanctuaries of Artemis Orthia at Sparta and Artemis Ephesia at Ephesus. For the comparison the site of Athena Alea at Tegea is examined. The three accounts offer a full study of the architectural development and the range of artefacts made of different materials. The varied character is Artemis are further analysed by looking at the archaeology relating to the cult and the rites of passage taking place at the sites. The rites of passage are reconstructed by using the literary accounts.